Product prices and availability are accurate as of 2019-04-20 10:42:53 EDT and are subject to change. Any price and availability information displayed on http://www.amazon.com/ at the time of purchase will apply to the purchase of this product. Brighton has been a popular tourist destination for many years. This image, created by Yorkshire-based artist Kevin Walsh, is set in the 1960s and show families, mods and rockers, all enjoying the delights of Brighton and the Palace Pier in particular. 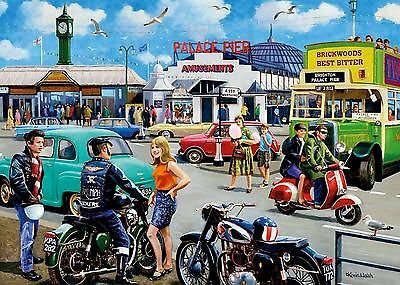 Over the years the pier has continued to develop, and now marries exciting fairground rides for thrill-seekers with the best in seaside entertainment and nostalgic charm. Includes an A4 inbox leaflet showing additional puzzle picture for reference and artist's biography. 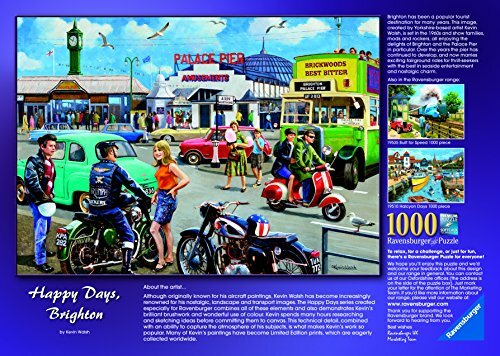 This is the latest in the hugely popular "Happy Days" series. High quality 1000 piece cardboard jigsaw puzzle. The finished puzzle measures 70 x 50cm when complete. Suitable for ages 12 years and up. 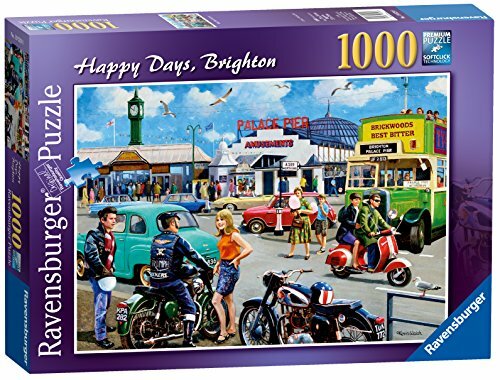 Made from strong premium grade cardboard, with linen finish print to minimise glare on puzzle image.